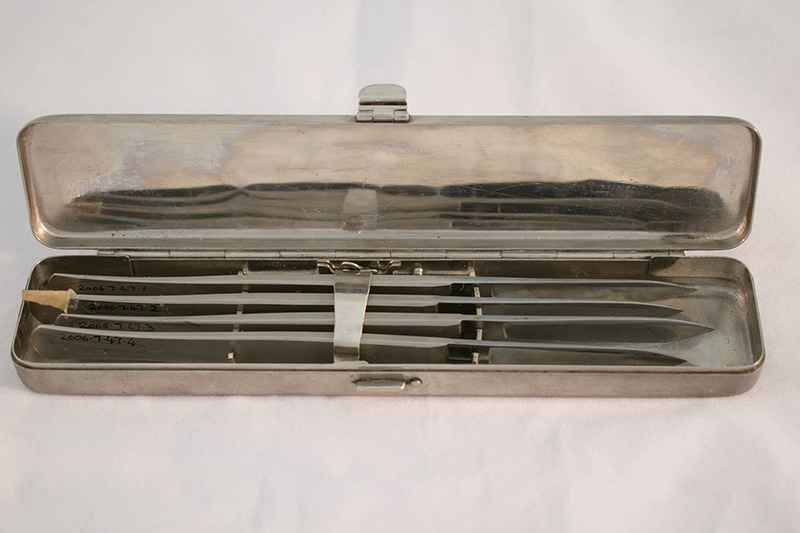 Box is fitted with secured metal rack to retain the scalpels, and is hinged. Secured with metal clip. The scalpels are identical and four in number. Box is plated, possibly nickel. The scalpels are forged from solid, stainless steel. Box: 17.8cm in length, 3.9cm in width, 1.6cm in depth. Scalpels: 16.1cm in length, 1cm in width. 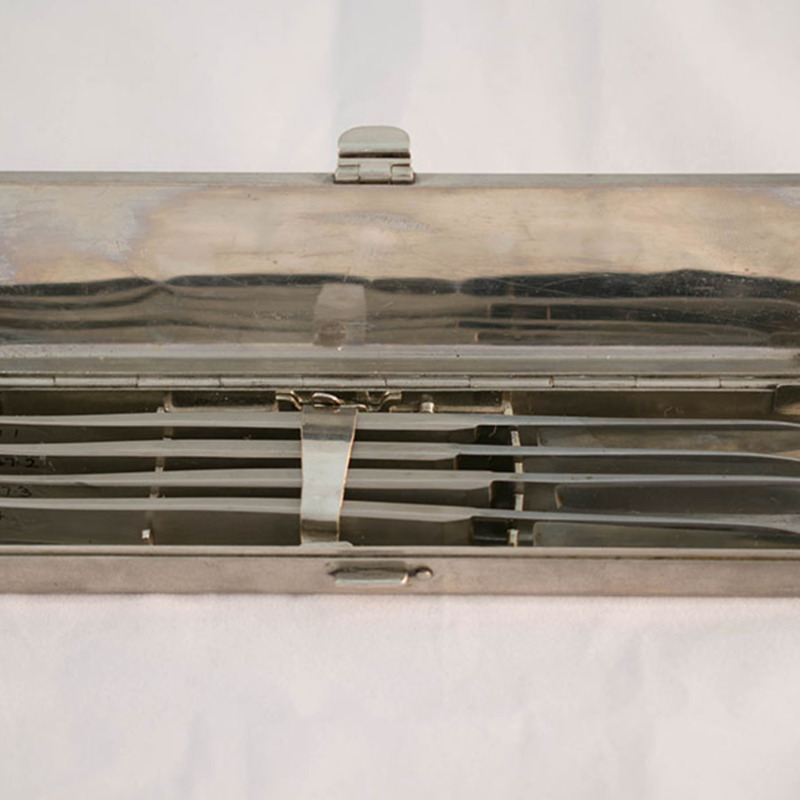 “Surgical Scalpels in Aseptic Metal Box,” Heritage, accessed April 23, 2019, https://heritage.rcpsg.ac.uk/items/show/488. Description: Box is fitted with secured metal rack to retain the scalpels, and is hinged. Secured with metal clip. The scalpels are identical and four in number. Box is plated, possibly nickel. The scalpels are forged from solid, stainless steel.